– Order of 24 June 2013 setting the content of the auditor reporting standards. – Order of 12 January 2014 setting the procedures for the transmission of reports to the Commissioner accounts. – Order of 1 August 2013 defining the deed of establishment of false invoices or bogus bills and fixing the procedures for the implementation of their sanctions. – Order of 2 February 2014 on specific provisions of the rules of flight at night (VFR) . – Executive Decree No 14-109 of 12 March 2014 amending and supplementing Executive Decree No 04-414 of 20 December 2004, concerning the conditions and procedures for exercising the functions performed by the civil aviation personnel (Corrigendum). – Executive Decree No 14-96 of 4 March 2014 amending and supplementing the Executive Decree No 11-125 of 22 March 2011, relating to the quality of water for human consumption. – Interministerial Order of 17 March 2014 adopting the technical regulation, setting the rules relating to “halal” food. – Order of 27 August 2013 mandating the method for determining the protein nitrogen content in milk. – Order of 28 May 2014 mandating the sample preparation method, the suspension and decimal dilutions for microbiological examination. – Law No 14-04 of 24 February 2014 concerning the audiovisual activity. – Order of 25 November 2013 setting the specifications relating to the operation of movie-theaters. – Decision No 14-01 of 2 January 2014 concerning the publication of the list of banks and the list of approved financial institutions in Algeria. – Presidential Decree No 14-209 of 23 July 2014 amending the Presidential Decree No 11-426 of 8 December 2011, establishing the composition, organization and operating procedures of the Central Office for combating corruption. – Executive Decree No 14-246 of 30 August 2014 amending and supplementing the Executive Decree No 04-14 of 22 January 2004, establishing and setting the statutes of the national micro-credit management agency. – Regulation No 14-01 of 16 February 2014 concerning solvency ratios for banks and financial institutions. – Regulation No 14-02 of 16 February 2014 concerning large exposures and holdings. – Regulation No 14-03 of 16 February 2014 concerning the rankings and provisioning of receivables and signed commitments of banks and financial institutions. – Regulation No 14-04 of 29 September 2014 setting the equity transfer conditions abroad under investment abroad by Algerian economic operators. – Executive Decree No 14-127 of 5 April 2014, amending and supplementing the Executive Decree No 08-55 of 11 February 2008, on the declaration of public utility, the operation relating to the realization of the dam reservoir of Douéra (wilaya of Algiers). – Executive Decree No 14-200 of 9 July 2014 concerning the declaration of public utility, the operation of realization of the new railway line Boughezoul / Djelfa. – Presidential Decree No 14-172 of 2 June 2014 on the ratification of the Memorandum of understanding between the Government of the Democratic Republic of Algeria and the Government of the State of Qatar on cooperation in the field of oil and gas, signed in Algiers on 7 January 2013. – Presidential Decree No 14-249 of 8 September 2014 on the ratification of the Arab Convention against Corruption, made in Cairo on 21 December 2010. – Presidential Decree No 14-250 of 8 September 2014 on the ratification of the Arab Convention for the fight against money laundering and terrorist financing, made in Cairo on 21 December 2010. – Law No 14-01 of 4 February 2014 amending and supplementing the Ordinance No 66-156 of 8 June 1966 on the Penal Code. – Order of 31 December 2013 establishing the list of goods subject to the authorization to circulate in accordance with the article 220 of the Customs Code. – Decision of 4 July 2013 concerning the private warehouse. – Executive Decree No 14-219 of 11 August 2014 supplementing the Executive Decree No 10-89 of 10 March 2010, setting the procedures for monitoring imports in duty-free under the free trade agreements. 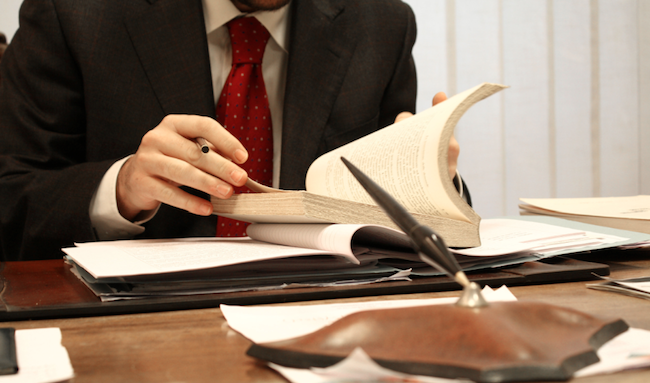 – Executive Decree No 14-75 of 17 February 2014 establishing the list of civil status documents. – Law No 14-03 of 24 February 2014 concerning permits and travel documents. – Law No 14-08 of 9 August 2014 amending and supplementing the Ordinance No 70-20 of 19 February 1970 on civil status. – Executive Decree No 14-363 of 15 December 2014 on the repeal of the regulatory provisions relating to the certification of the original copies of documents issued by public administrations. – Executive Decree No 14-81 of 20 February 2014 amending the Executive Decree No 91-519 of 22 December 1991, implementing the provisions of the Law No 81-07 of 27 June 1981 on training. – Presidential Decree No 14-196 of 6 July 2014 on the organization and management of training and development abroad. – Executive Decree No 14-214 of 30 July 2014 setting the procedures inherent in the reservation of the workstations, the determination of the financial contribution and grants for the construction and equipment of workstations for people with disabilities. – Law No 14-09 of 9 August 2014 amending and supplementing the Law No 81-07 of 27 June 1981 on training. – Order of 2 February 2014 setting the guaranteed purchase prices and terms of their application for electricity produced from plants using wind power. – Order of 2 February 2014 setting the guaranteed purchase prices and terms of their application for electricity produced from plants using solar photovoltaic segment. – Executive Decree N° 14-172 of 29 September 2014 concerning declaration of public utility of the achievements operations of projects within the framework of the production and distribution of electricity. – Interministerial Decree of 2 September 2013 setting the contents of the transport authorization application for special hazardous waste, the procedures for granting authorization and its technical characteristics. – Interministerial Decree of 2 September 2013 setting the technical characteristics of the hazardous waste labels. – Presidential Decree No 14-195 of 6 July 2014 setting the nuclear safety requirements applicable to the physical protection of nuclear facilities, nuclear materials and security of radioactive sources. – Executive Decree No 14-264 of 22 September 2014 on the organization of the fight against marine pollution and the establishment of contingency plans. – Law No 14-10 of 30 December 2014 on the finance law for 2015. – Interministerial Order of 27 November 2013 setting the detailed rules for implementing the commitment to invest for foreign traders. – Executive Decree No 14-152 of 30 April 2014 setting the procedures for accreditation of professional journalists working on behalf of a foreign body. – Executive Decree No 14-204 of 15 July 2014 defining disabilities according to their nature and extent. – Order of 20 August 2014 setting the procedures for the organization of the guard at the pharmacies. – Executive Decree No 14-318 of 12 November 2014 amending and supplementing the Executive Decree No 13-220 of 18 June 2013, establishing a national agency for the management of achievements and equipment of health facilities. – Presidential Decree No 14-13 of 21 January 2014 approving amendments to contracts of 18 September 2006 for the research and exploitation of hydrocarbons, concluded in Algiers in 22 September 2013 between the National Agency for the development of hydrocarbons resources (ALNAFT) and the National company Sonatrach Spa. – Presidential Decree No 14-14 of 21 January 2014 approving the contract for the exploration and exploitation of hydrocarbons on the perimeter called “Hassi Bahamou” (blocks: 317b, 322a, 347a, 348 and 349a), concluded in Algiers in 28 October 2013 between the National Agency for the Development of Hydrocarbon Resources (ALNAFT) and the national company Sonatrach Spa. – Executive Decree No 14-77 of 17 February 2014 setting the detailed rules for regulating the principle of free access of third parties to transport infrastructure by pipeline of hydrocarbons. – Executive Decree No 14-94 of 4 March 2014 setting the procedures for obtaining permits required for the construction of transport by pipeline facilities of petroleum products and their operation. – Executive Decree No 14-95 of 4 March 2014 amending and supplementing the Executive Decree No 07-311 of 7 October 2007, setting the procedures for making available to the National Agency for the Development of Hydrocarbon Resources “ALNAFT “of all hydrocarbon prospecting data and results. – Law No 14-05 of 24 February 2014 concerning the mining law. – Executive Decree No 14-126 of 5 April 2014 establishing the list of operating perimeters located in weakly explored areas, complex geology and / or lack of infrastructure. – Executive Decree No 14-137 of 20 April 2014 setting the procedures for obtaining permits required for construction of refinery works, hydrocarbon processing, and exploitation. – Executive Decree No 14-138 of 20 April 2014 establishing the list and nature of operating costs allowed for deduction in determining the tax rate on oil revenues (TRP). – Law No 14-05 of 24 February 2014 concerning the mining law (Correction). – Executive Decree No 14-147 of 30 April 2014 amending and supplementing the Executive Decree No 07-130 of 7 May 2007, setting detailed rules for calculating the amounts of provisional monthly installments ranging regulations on the tax on oil revenues (TRP). – Presidential Decree No 14-175 of 5 June 2014 approving the amendment No 8 to the contract of 24 November 1992 for the research and exploitation of hydrocarbons in the areas named “Oulad-N’sir” and ” Menzel-Lejmat “(blocks 215 and 405), signed in Algiers on 5 December 2013 between the national company SONATRACH-SPA and the companies “ConocoPhilips Algeria LTD”, “Talisman (Algeria) BV” and “PT Pertamina (Persero)”. – Presidential Decree No 14-176 of 5 June 2014 approving the amendment No 2 to the contract of 14 October 2002 for production sharing for increased crude oil reserves recovery rate of the deposit in the area ” Zarzaitine”, concluded in Algiers on 15 December 2013 between the national company SONATRACH-SPA and the company “Sinopec Overseas Oil and Gas Limited “. – Presidential Decree No 14-177 of 5 June 2014 approving the amendment to the contract No 5 of 13 May 1995 for the exploration and exploitation of hydrocarbons on the perimeter named “El Zemoul Kbar” (block 403 a), concluded in Algiers on 23 December 2013 between the national company SONATRACH-SPA and the company “ENI Algeria Exploration BV (ENI)”. – Presidential Decree No 14-178 of 5 June 2014 approving the amendment No 2 to the contract of 26 September 2004 for the research and exploitation of hydrocarbons on the perimeter named “Isarene” (blocks 228 and 229 a), concluded in Algiers on 12 February 2014 between the national company SONATRACH-SPA and the companies “Petroceltic International PLC” and “ENEL SPA TRADE”. – Presidential Decree No 14-179 of 5 June 2014 approving the amendment No 1 to the contract of 18 September 2006 for the research and exploitation of hydrocarbons on the perimeter named “El Zemoul Kbar II” (blocks: 403 d), concluded in Algiers on 5 March 2014 between the National Agency for the Development of Hydrocarbon Resources (ALNAFT) and the national company SONATRACH-SPA. – Order of 24 April 2013 setting the prices of transportation by pipeline of oil by zone and effluent (correction). – Executive Decree No 14-227 of 25 August 2014 setting the detailed rules for determining and counting quantities of hydrocarbons subject to the fee and the fee payment methods. – Executive Decree No 14-228 of 25 August 2014 defining the pricing and methodology for calculating the price of transportation by pipeline of hydrocarbons. – Presidential Decree No 14-248 of 8 September 2014 approving the amendment to the contract No 5 of 25 May 1992 for research and exploitation of liquid hydrocarbons on the perimeter named “Rhourde Yacoub” (block 406 a), concluded in Algiers on 27 May 2014 between the national company SONATRACH-SPA and the “COMPANIA ESPANOLA DE PETROLEOS SA (CEPSA)”. – Executive Decree No 14-263 of 22 September 2014 setting the rules for the use of transport infrastructure by pipeline and storage of petroleum products. – Order of 24 April 2014 appointing the members of the National Committee ranking into categories of hotel establishments. – Interministerial Order of 2 March 2014 setting the list of equipment and furnitures, not produced locally by hotel standards, within the scope of upgrading operations and making application level of “tourism quality plan Algeria”, benefiting of reduced customs duties. – Order of 1 August 2013 setting the modalities for executing final public investment expenditure by the National Investment Fund. – Executive Decree No 14-159 of 8 May 2014 completing the Executive Decree No 05-256 of 20 July 2005 establishing the National Agency of study and monitoring the implementation of railway investment. – Interministerial Order of 29 April 2014 setting the procedures for preferential award of public contracts for micro-companies. – Executive Decree No 14-165 of 26 May 2014 setting the conditions for exercising the attorney-wholesale business in fishery products and aquaculture. – Order of 12 June 2014 repealing the provisions of the Order of 13 October 2010 Supplementing the Order of 18 March 2009, establishing the composition of the file and the introducing procedure of the investment declaration. – Order of 9 March 2014 amending and supplementing the Order of 17 February 2009, setting the processing procedures and the composition of modification files of granting advantages decision. – Order of 7 January 2013 appointing the investment appeal board members. – Order of 21 September 2014 amending the Order of 7 January 2013, appointing the investment appeal board members. – Order of 8 October 2013 setting the procedures for calculating the redemption value of the contract “life insurance”. – Order of 8 October 2013 setting the applicable mortality tables and the minimum rate guaranteed to persons insurance contracts. – Order of 8 October 2013 defining the content and form of information notices concerning the insurance policy of persons and capitalization. – Order of 30 March 2014 setting the member’s names list of the National Insurance Board. – Rules of the Supreme Court. – Executive Decree No 14-285 of 15 October 2014 amending and supplementing the Executive Decree No 98-63 of 16 February 1998, on the competence of courts and the application rules of the Ordinance No 97-11 of March 19 1997 on judicial division. – Executive Decree No 14-242 of 27 August 2014 on the organization of the central administration of the Ministry of Industry and Mining. – Presidential Decree No 14-301 of 27 October 2014 amending the Presidential Decree No 03-211 of 8 May 2003, on the establishment, composition, functioning and tasks of the interministerial committee monitoring the implementation of the convention on prohibitions of the use, stockpiling, production and transfer of antipersonnel mines and on their destruction. – Presidential Decree No 14-300 of 27 October 2014 amending the Presidential Decree No 97-125 of 26 April 1997 on the establishment, organization and functioning of the Interministerial committee responsible for the implementation of the convention on the prohibition of the development, manufacture, stockpiling and use of chemical weapons and on their destruction. – Presidential Decree No 14-185 of 15 June 2014 establishing a Cadet School of the Nation in the fourth military region. – Law No 14-06 of 9 August 2014 relating on the national service. – Order of 16 September 2014 defining the various situations of citizens regarding the national service. – Order of 16 September 2014 setting the annual number of the national military service contingents to incorporate and their incorporation dates. – Order of 16 September 2014 setting the detailed rules for the application of the Law No 14-06 of 9 August 2014, relating on the national service for the military on active service at the publication date. – Presidential Decree No 14-344 of 8 December 2014 defining the organizational modalities of the national service census operation for Algerian citizens. – Order of 17 November 2013 setting the content of the electronic public procurement portal, the modalities of its management and the procedures for exchanging information electronically. – Executive Decree No 14-139 of 20 April 2014 concerning the obligation for companies and groups of companies, operating in the context of achieving the procurement of certain sectors, of holding a certificate qualification and professional classification. – Interministerial Order of 30 June 2014 specifying the benefits covered by cultural and / or artistic considerations that may be the subject of contracts by single will. – Executive Decree No 14-320 of 20 November 2014 concerning the project management and delegated project management. – Executive Decree No 14-99 of 4 March 2014 setting the model of condominium rules applicable for real estate development. – Presidential Decree No 14-01 of 5 January 2014 setting the procedures of building or demolishing of institutions, places and public buildings. – Executive Decree No 14-27 of 1 February 2014 setting the building regulations, architectural and engineering applicable to structures in the provinces of the South. – Executive Decree No 14-70 of 10 February 2014 setting the rental terms and conditions of Wakf land for agriculture. – Executive Decree No 14-180 of 5 June 2014 amending and supplementing the Executive Decree No 97-406 of 3 November 1997, establishing the guarantee funds and mutual guarantee of the real estate promotion. – Executive Decree No 14-181 of 5 June 2014 setting the conditions and modalities of subrogation of the guarantee funds and mutual guarantee of real estate promotion for the acquirers of real estate goods covered by a real estate promotion guarantee. – Executive Decree No 14-182 of 5 June 2014 setting the terms and conditions of payment by developers of contributions and other mandatory payments under the rules of guarantee funds and mutual real estate promotion guarantee. – Order of 24 December 2013 amending the Order of 23 October 2012, appointing the members of the accreditation commission of real estate developers. – Executive Decree No 14-203 of 15 July 2014 setting the conditions and procedures for acquisition of promotional public housing. – Executive Decree No 14-288 of 15 October 2014 supplementing the Executive Decree No 01-105 of 23 April 2001, setting the terms and conditions of acquisition under leasing of housing made from public funds or banking resources or other funding. – Order of 1 August 2013 setting the territorial jurisdiction of tax centers (CDI). – Order of 26 December 2013 setting the threshold beyond which the payment of taxes and duties cannot be made in cash. – Executive Decree No 14-148 of 30 April 2014 amending and supplementing the Executive Decree No 07-131 of 7 May 2007, setting the calculating procedures of the additional tax on earnings (ICR). – Interministerial Order of 29 April 2014 defining the subscription terms of the specifications by the organizations receiving the products of parafiscal charges, including public economic and communication companies, of situations recoveries from these parafiscal charges for administration tax. – Order of 10 September 2013 setting the communication frequency information relating to gas sales contracts, riders thereto, possible agreements and the canvas thereon, necessary for determining the base price of gas used for the calculation of the fee, taxes and duties. – Executive Decree No 14-229 of 25 August 2014 establishing the list and nature of research and development investments to be considered in determining the allowable annual installments for the calculation of the basic tax on oil revenues ( TRP) and parameters (li) for the purpose of calculating the tax rate on oil revenues (TRP). – Executive Decree No 14-121 of 26 March 2014 amending the specification annexed to the Executive Decree N° 05-460 of 30 November 2005, approving, as a regularization of the establishment license and operation, a public telecommunications network and provision of international fixed telephone, long distance and local loop to the public. – Executive Decree No 14-220 of 11 August 2014 approving the establishment license and operation of a public telecommunications network by satellite V.SAT type and provision of telecommunications services to the public, awarded as a disposal to the company “Algerie Telecom Satellite SPA”. – Order of 26 May 2014 on the exercise of the importing and marketing activity of tourism or utility vehicle and rolling vehicles. – Interministerial Order of 2 July 2014 setting the procedures for the organization of vehicle inspection for the national security services vehicles. – Interministerial Order of 2 June 2014 setting the LPG / C rolling automotive quotas to include by car dealers in the imports of vehicles and its application modalities. – Interministerial Order of 14 December 2014 setting the warranty period by nature of good. – Order of 12 November 2014 setting the model of the certificate of warranty.